Christmas has come and gone.... it went by super fast, and was a green one for us. Didn't make it feel very much like Christmas. Our daughter is a very spoiled little girl, she ended up getting a lot of gifts, and was very well behaved. 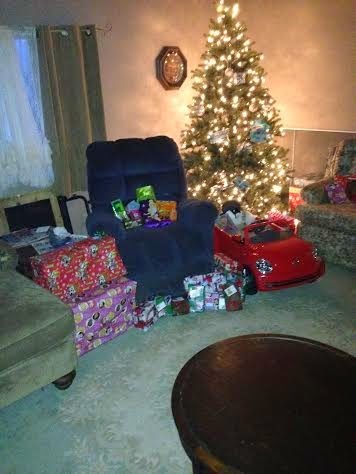 The Christmas gifts before the mayhem started . 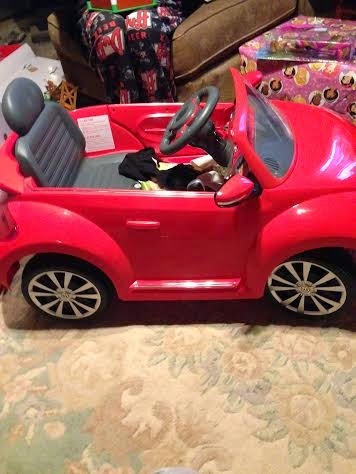 Her new Volkswagen car, that shes completely in love with. 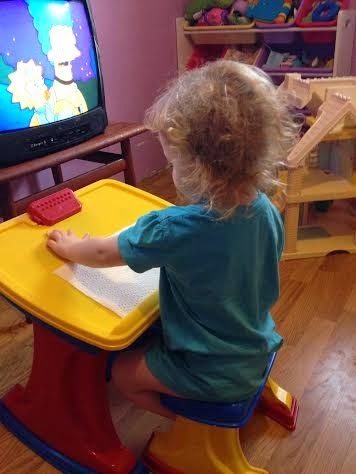 Our little munchkin doing her thing, at her new art station. I'm very happy that our daughter had a great Christmas, and loves all of her gifts. ( she also received some gifts from her uncles and aunt and her grandma early, she got outfits, that she won't take off ( we're in that stage now ) and bath markers which she will not let go of during bath time, a Buddha board, and a couple other gifts, and a Tinkerbell Build-A-Bear. She was a very lucky little girl. I most thankful for my family.... you guys know who you are! Our daughter and of course my husband, we've all been very lucky. Speaking of which, our little girl turns TWO in 2 days.... I can't believe, so after work tomorrow I'll be running around trying to get her birthday gifts in order. As for New Years we were in bed and sleeping by 830pm, that's a party haha. How many of you have little ones with birthdays so close to Christmas and New Years? Do you buy them separate gifts? Happy New Years everyone! Here's to a great 2015! Things I Love about Warlords of Draenor.